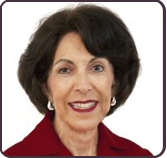 Joan Sotkin has been offering goods and services online since 1995 through her popular Website ProsperityPlace.com where she offers books, audios, and coaching services that help people improve their relationship with money and themselves. From 1997 to 2002 Joan had a successful Web development company, which she disbanded when site design started getting complicated and expensive for the customer. With the advent of WordPress as a development tool and it’s ability to easily integrate with many social media platforms, Joan now helps people develop online revenue streams using Social Media combined with an effective Web site. Joan’s award-winning book, Build Your Money Muscles, has been called “The best book on money ever written,” and hailed as a life-changing experience for those who follow her advice. Joan’s Prosperity Quick Tips are emailed weekly and she also offers periodic teleclasses and coaching. Tune in next week for an informative hour with Georgiann and Joan.